At Premier Foods we are incredibly proud to continue our successful partnership with LACA, with whom we have been working with for many years. As a company we sit on the board and are actively involved across the regions. As one of Britain’s largest food producers, we supply the education channel with some of nation’s best loved brands, including McDougalls, Bisto, Homepride and Ambrosia. Our range has been created with our customers’ needs in mind. We have a culinary team dedicated to supporting the education channel, who work together with our customers throughout the school year and beyond. Our products are category leading and allow schools to produce dishes with the familiar taste that pupils already know and love, in addition to providing quality and consistency. As a member of the Soil Association’s prestigious Food for Life Supplier Scheme, caterers awarded The Food for Life Catering Mark, or looking to achieve this, can purchase some of our biggest brand names with the knowledge and reassurance that they meet the entry level criteria. We are passionate to deliver ethical sourcing, traceability and providing products which meet the Food for Life Served Here standards. Bisto remains the consumer’s number one gravy brand and our bestselling stock. Bisto Bouillon and Reduced Salt Gravy Granules can be used to create a variety of recipes guaranteed to deliver high-quality flavour. Bisto Gluten Free Gravy delivers the same great taste, but allows school to cater for those who require a gluten free meal. Our Homepride ready-to-use sauces are simple to use, cost-effective and deliver on flavour, helping schools prepare a range of cuisines including Italian, Chinese and Indian. McDougalls Flour Based Mixes are ideal for use in schools, offering the most extensive line-up of any flour based mix brand for use in both sweet and savoury dishes. Our flour based mixes help caterers to make fresh bread and baked goods quickly and easily, providing them with consistent results. 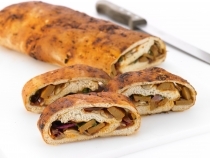 The range includes our versatile Soft Bap Mix, which can be used to create bread rolls, garlic bread or even focaccia. Premier Foods launched a category first with its new Hovis® Best of Both® Mix for the foodservice channel, offering caterers a solution for pupils who enjoy the taste of white bread, but with added wholemeal and wheatgerm. The made up mix is also rich in calcium and a source of fibre. The Bird’s brand is not only synonymous with the ‘original homemade’ custard powder, but also provides a range of versatile, popular and easy to make desserts which includes Bird’s Ice Cream Mix. This can be made in three easy steps, using milk or water, with additional ingredients to create any flavour. Angel Delight is quick and easy to make. It’s an extremely versatile option and comes in six great flavours which can be served either chilled or frozen, on its own or as part of a recipe. The Ambrosia range contains only high quality ingredients; including 100% British Red Tractor assured milk, and is perfect for use in recipes or a stand-alone dessert. You can also add a taste of Devon to your snacking menu with Ambrosia pots and mini pots, which contain no preservatives, artificial colours, flavours or sweeteners, and are gluten free.